Online sales of our bare-root varieties have been very busy. This year we have over 70 varieties of organic Irish heritage apple trees that have been grown on our farm in County Clare. As the bare-root crop approaches dormancy, the trees will be prepared for unearthing. We will monitor them, and as soon as they are fully dormant, they will be bare-rooted and stored in damp sawdust, ready for posting in December. Click here to be taken to our full listing, detailing the types, uses, flowering times and County/country of origin. Our orchard staff are busy cleaning up and protecting our orchards in preparation for the winter ahead. Scab and other fungal diseases can over-winter on fallen fruit and leaves under the trees so removing fallen fruit and branches is a vital maintenance task at this time of year. The potted nursery also gets the winter protection treatment. Installing hare fencing, clearing fallen leaves, weeds and spilled compost will be gathered up as part of the winter hygiene routine. We have joined a cultivator group that has just been set up in the UK. It is still in it’s infancy, but this initiative will bring together a lot of cultivators from the UK & Ireland with the intention of sharing research. In the gardens November signify’s the start of the 2019 season, the last of the seed harvesting usually takes place and we begin packing our earlier harvests. We will have dozens of new varieties for you to grow so start planning now to ensure you get a great year’s harvest next year. 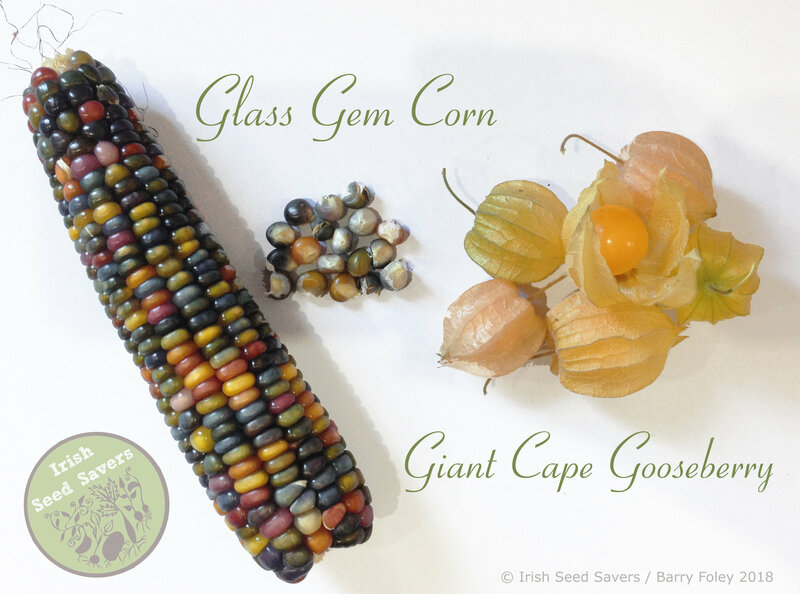 This week we are harvesting our pumpkins, elephant amaranthus, glass gem corn and cape gooseberry seeds but it’s our winter endive seeds that are proving quite challenging to harvest.